Editor’s note: This post was originally published on NextBillion en Español. As part of the forum “Social Entrepreneurship: A new look at the development of Colombia” last month at Bogota at the College of Higher Studies in Administration (CESA), Juan David Aristizabal presented his new book (written in Spanish) Filling Spaces: A Book about Social Entrepreneurs. As a professor at CESA, an Ashoka Fellow and co-founder of Buena Nota, Aristizabal is dedicated to supporting and promoting social entrepreneurs. I had the chance to chat with him about his new book, which tells the stories of 16 Colombian social entrepreneurs across multiple sectors. Jenny Melo: Juan David, tell us how the idea of writing the book came about. Juan David Aristizabal: For three reasons. The first is our conviction to write the country’s history. For six years, the whole Buena Nota team has been dedicated to making visible the people who also contribute to Colombia’s history: men and women with vision, creativity and the sufficient determination to create innovative solutions to social problems. This book features 16 social entrepreneurs who are changing the history of the country. The second reason is to show how social problems have solutions thanks to the innovations made by social enterprises. And the third is to extend an invitation. Not everyone can or wants to be a social entrepreneur, but we can all contribute to bringing about change. Filling Spaces is just that, it’s about going where others have never gone to change the world. JM: Tell us about the process of writing this book. JDA: The book is the result of a big team of people and institutions. CESA, Ashoka and Buena Nota got together to publish it. … We worked for two years to interview these 16 social entrepreneurs. All are members of Ashoka, the largest community of social entrepreneurs in the world. The stories are very varied and represent many communities. Each social entrepreneur mentioned in the book brings innovation, impact and sustainability. JM: What social entrepreneurship cases and reflections can we find in this book? 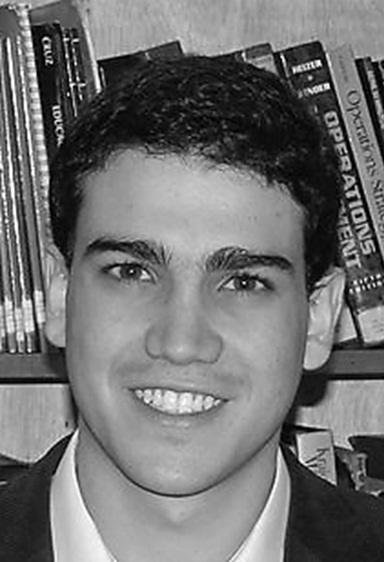 Felipe Vergara, who has managed to finance the talent of youth who want access to higher education. Vicky Colbert, who revolutionized the model of understanding in school. Javier González, a master inventor who has helped more than one million people learn to read and write using his game. Luis Alberto Camargo, he created models so that children and young people know about and want to take ownership of their environment. Ricardo Cobo, who made it so people with cognitive disabilities could be recognized as active human beings. Edmperatriz Cahuache, who from the extreme south of the Amazon leads the active participation of indigenous communities. Stella Cárdenas, a leader who has managed to positively intervene to prevent and eradicate the sexual exploitation of boys and girls. Carmenza Morales, a lawyer who has given rise to the struggle for the right of communities to their ancestral territory. Silvio Ruiz, a promoter of rights for recyclers. Albeiro Vargas, who promotes an intergenerational exchange between children and the elderly, creating a respectful and rich community. Alejandro Martínez, who promotes the labor rights of children and youth. Haidy Duque, who has managed to create successful alliances between private enterprise, community and social organizations. Jaqueline Moreno, who through negotiation has managed to empower communities, promoting their access to products and services. Sofía Sarasti, who has built the bridge between abundance and scarcity with respect to food and other basic necessities. Sergio Arango, a promoter of the sustainabile use of biodiversity by populations in various different regions of Colombia. JM: Tell us about one of the enterprises featured in the book. JDA: Sofía Sarasti is a woman from Cali who decided to create a bridge between surplus and shortage. She is the founder of the Food Bank of Cali, an entity which serves as an intermediary to pick up food discarded by large supermarkets, organize it and give it just in time to the people that need it via various foundations ascribed as beneficiaries of the Food Bank. With the markets supplied by the bank, around 40,000 people receive daily sustenance. In the last ten years they have given aid with commercial value of US$25,000,000. She has managed to unite abundance and scarcity. JM: What are the main challenges you face in maximizing the potencial of social entrepreneurship in Colombia? JDA: We face three challenges. The first is giving them more visibility. Social entrepreneurs have effective and impactful responses to social problems. They need to be known so that others can replicate them and so that the government can support them. The second, which has to do with what I mentioned before, is convert innovation into public policy. What does this mean? That decision-makers must welcome what works for social entrepreneurs in resolving social problems. Politicians do make the most important decisions in a society, but it’s the entrepreneurs that execute the most innovative ones. The third, call on all citizens to be a part of social change. We can all participate with little actions. We all have talent to bring. We citizens can give our time, money or knowledge to the causes of those who wish to change the world. JM: Where can we get the book? JDA: You may order it at www.llenandoespacios.co.